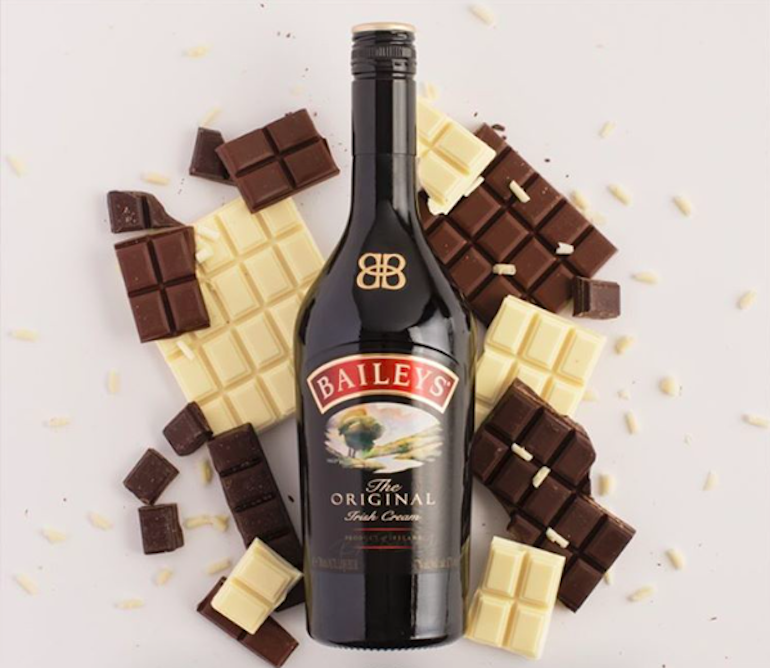 Baileys Irish Cream is probably one of the most iconic Irish drinks, apart from Guinness of course. 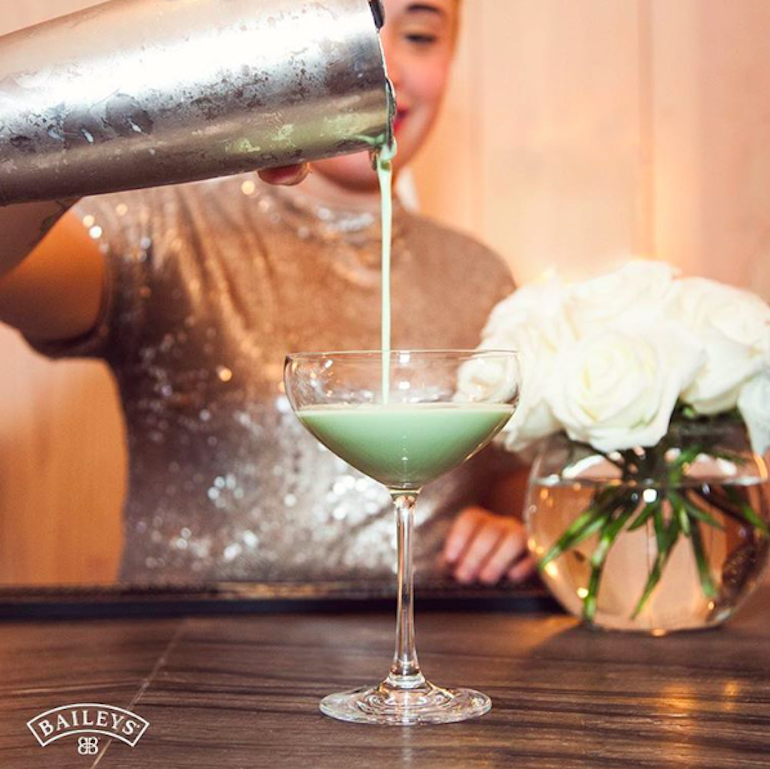 Back in the 1970s, Baileys slogan was: ‘A drop of the soft stuff’, as opposed to the hard stuff – whiskey, which was seen as a ‘manly’ drink. 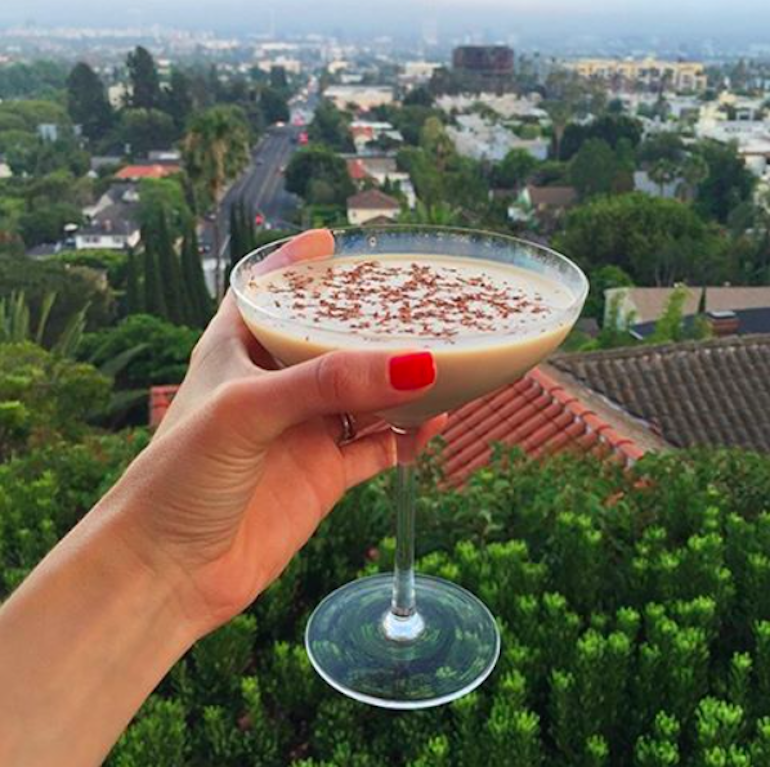 However, Baileys has come a long way since then, and is popular with both men and women. It is particularly popular during the Christmas holidays, served in a whiskey glass over ice. 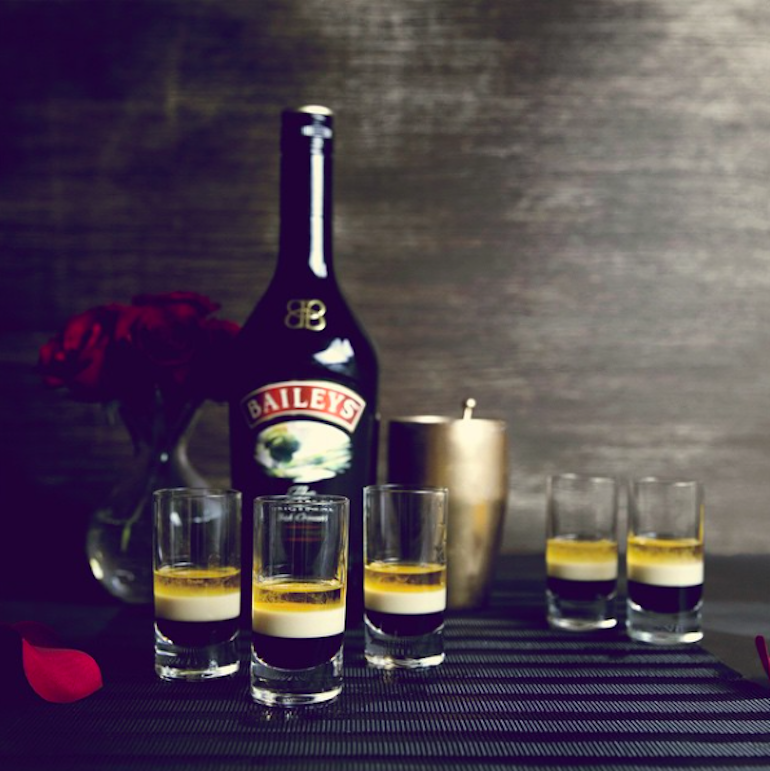 Because of its sweet and creamy flavour, Baileys lends itself well in various desserts. It can be used in dishes dishes such cheesecake, chocolate brownies and even tiramisu. Some people even make their own version of Baileys Irish Cream. 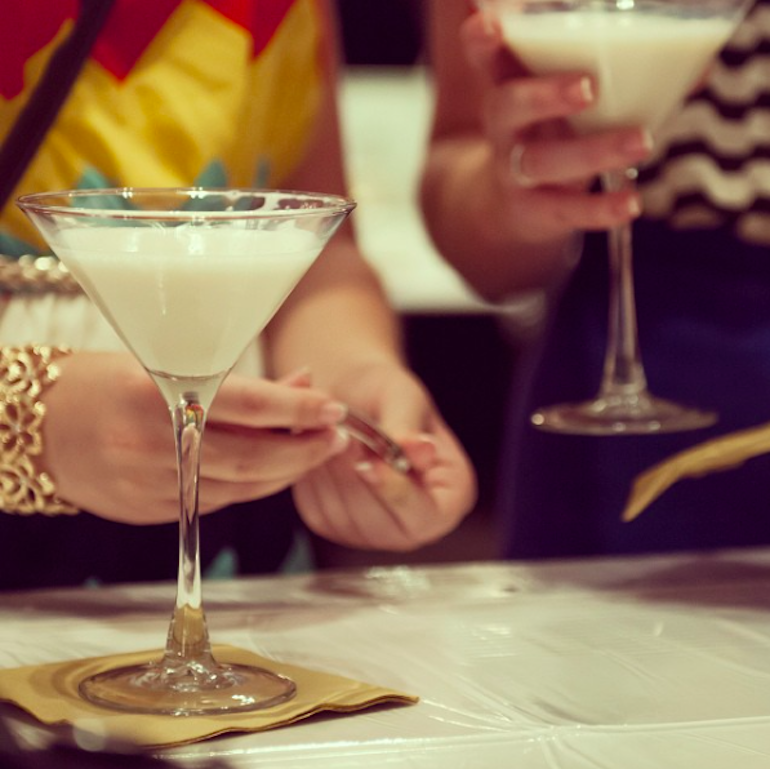 However, whether homemade or store-bought, we believe that the best way to enjoy Baileys is in a cocktail. 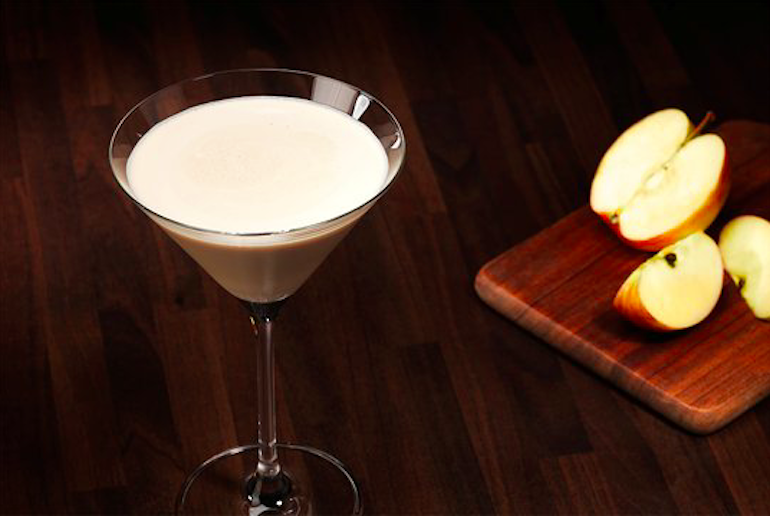 The White Russian was featured in the 1998 classic movie, The Big Lebowski, which gave the drink its cool status. 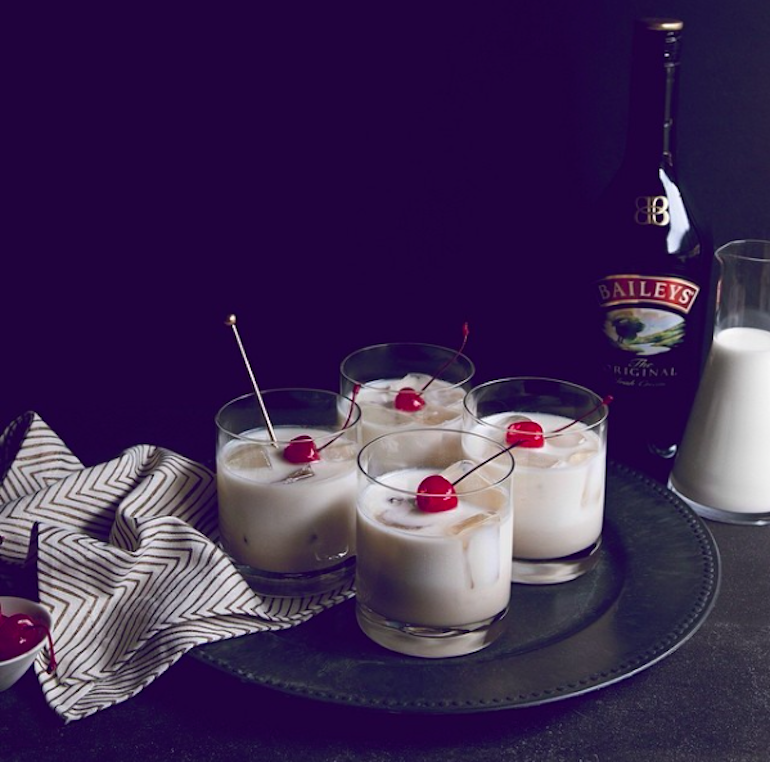 Here, indulgent Baileys adds a sophisticated twist to this true cocktail classic. This smooth blend of Baileys, whiskey and honey is super sweet but still packs quite the punch. Not only does honey potentially have some amazing health benefits, it’s true that whiskey will always be the real MVP of the night. 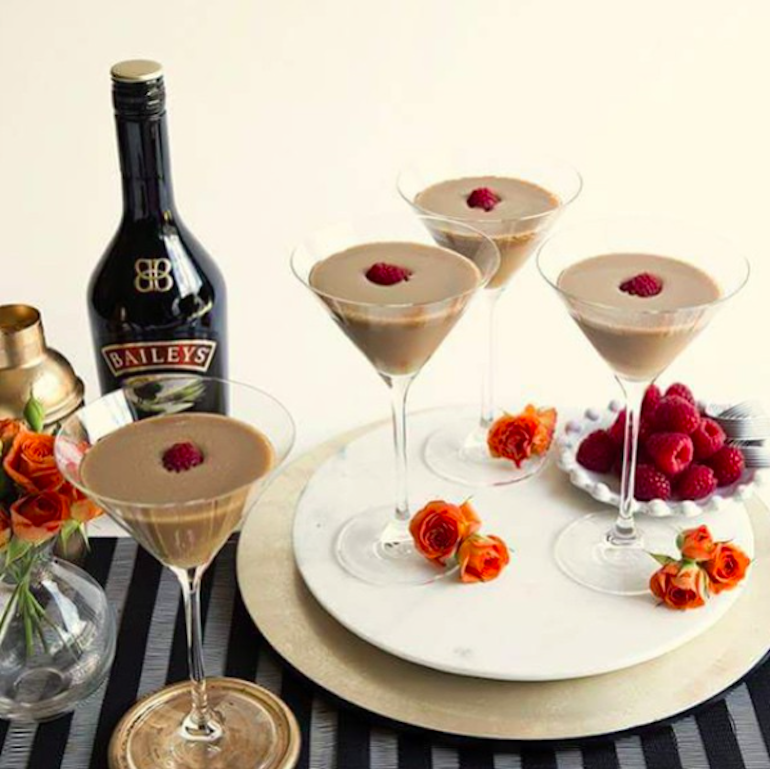 This super-classy cocktail is made with Baileys, coffee liqueur, and raspberry liqueur. Not often seen on a classic cocktail list, this will not fail to impress at your next cocktail party. This is a really fun and simple shot to make, consisting of classic Baileys, shaken over ice, and topped with whipped cream and sprinkles. 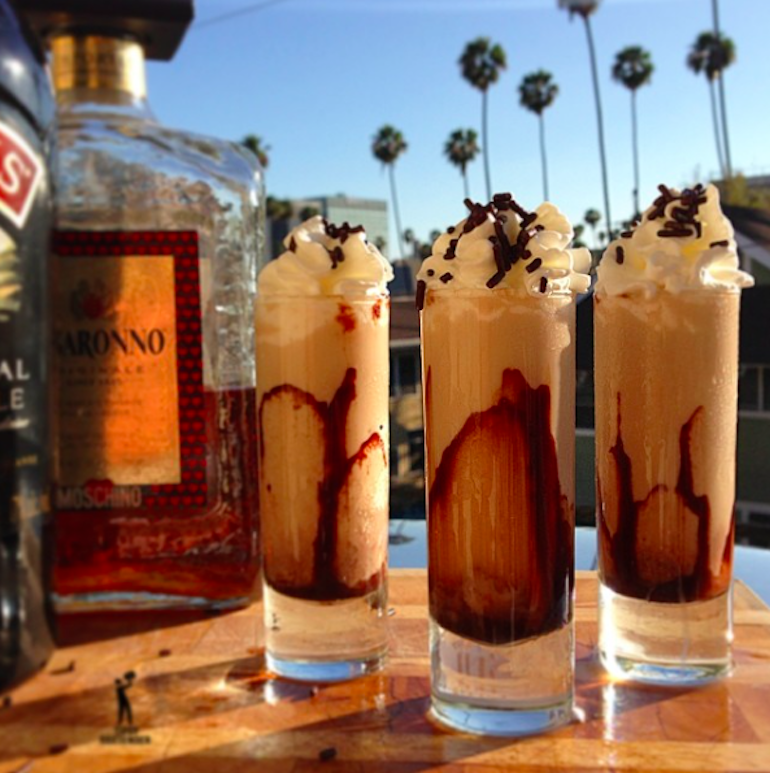 Take this drink to the next level with some edible shot glasses. The classic autumnal combination of caramel and apple makes this the perfect drink for a bonfire night party or thanksgiving celebrations. This drink is the perfect way to satisfy those chocolate cravings while still appearing sophisticated. If that’s still not enough chocolate for you, try this amazing alcoholic hot chocolate. 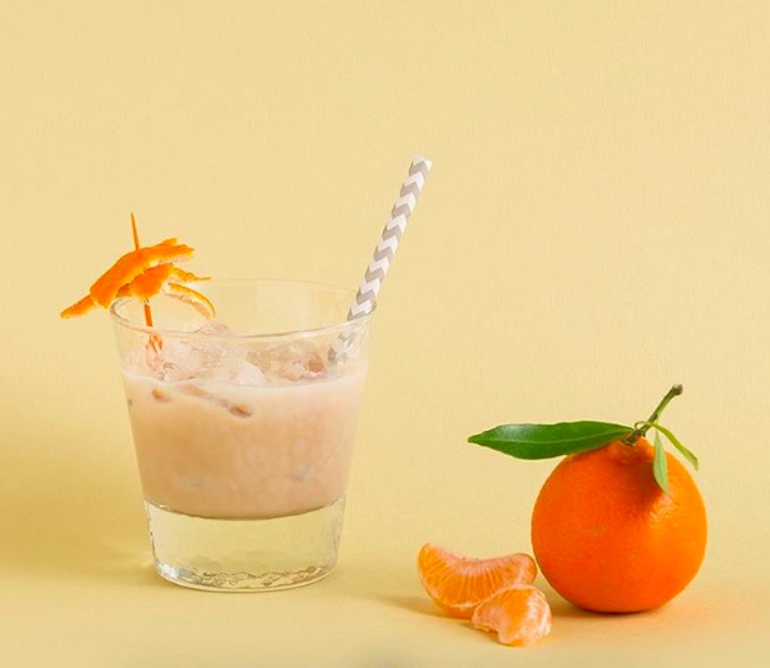 Creamy Baileys combined with fresh, citrusy orange creates this delicious cocktail that tastes similar to a Terry’s Chocolate Orange. 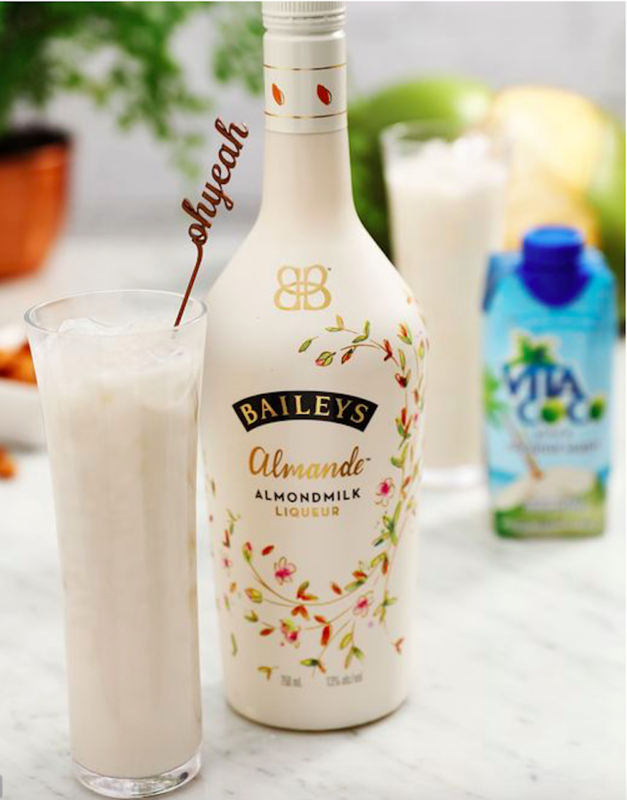 Made with almond milk, this type of Baileys is actually dairy and gluten free. Combined with coconut water, this makes for a deliciously refreshing and low-calorie cocktail. 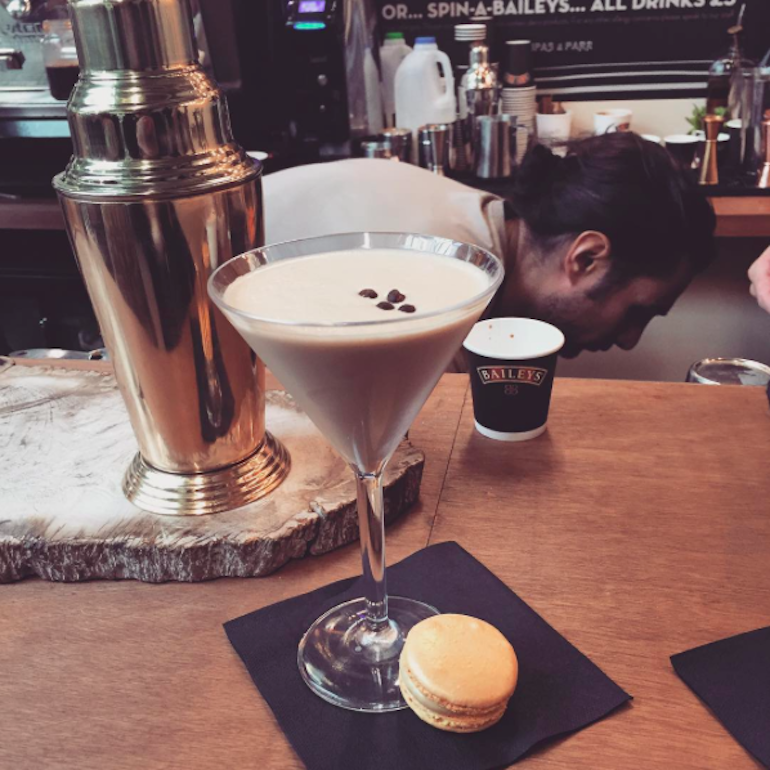 With biscotti, vanilla and butterscotch flavours, the Baileys Snowflake is a creamy drink perfect for the wintery weather. Pair it with this 3-ingredient chocolate peppermint bark for an indulgent Christmas treat. This shot certainly lives up to its naughty title. Containing Kahlua, Baileys, amaretto, creme de cacao, chocolate syrup, whipped cream and chocolate sprinkles, it is simply pure pleasure. 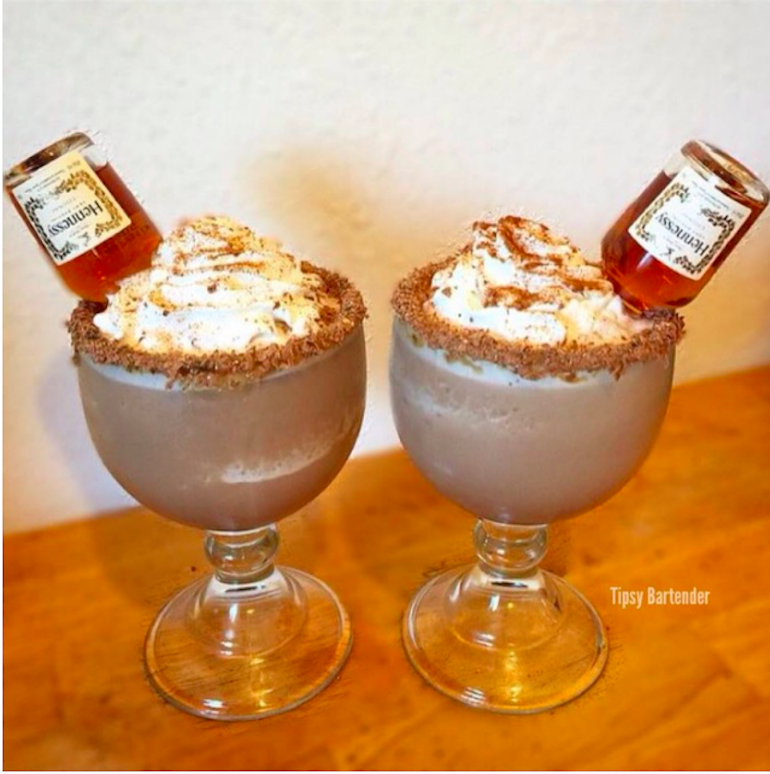 This is a must-try for all the Hennessy drinkers out there. This insanely decadent drink is a rich concoction of deliciously creamy flavours and some seriously strong alcohol. 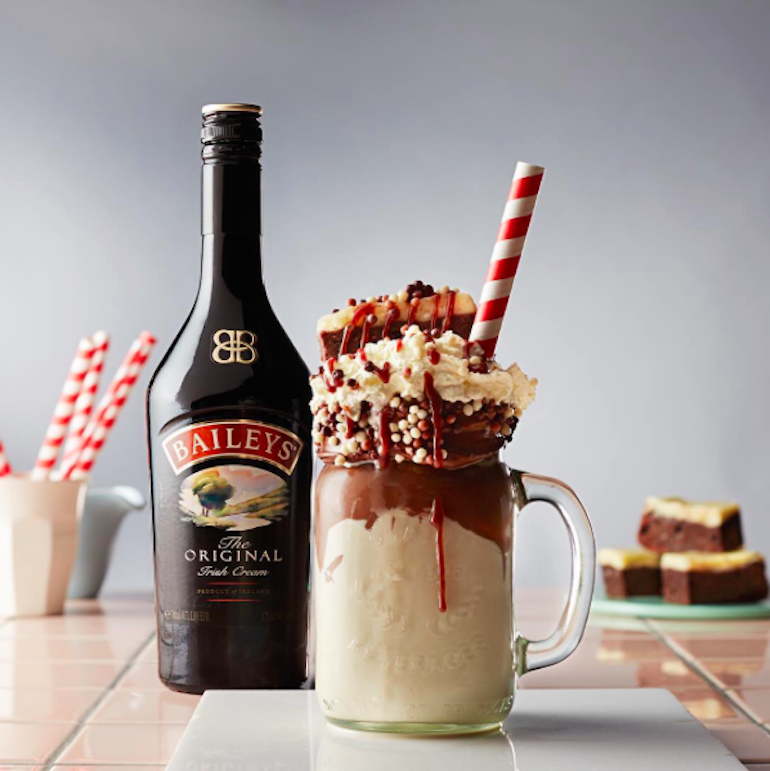 A hybrid of a milkshake, cocktail, and dessert, this is an indulgent treat not for the faint hearted. Click here to read about a freakshake that is even more extravagant than this one. A fun layered shot that should definitely be a staple at every pre-drink party. This drink can be taken to the next level by igniting the top layer, creating a blue flame. Alternatively, turn it into a B-52 with Bomb Bay Doors, that is a B-52 with a 4th layer consisting of Bombay Gin. A truly classy cocktail with a rich, smooth flavour and caffeine kick. Perfect as an after dinner drink when more than just a cup of coffee is required. This bright-green cocktail is a great dessert substitute, as it tastes just like mint choc chip ice cream. If you can’t get enough of the classic baileys and mint combo, these boozy baileys mint chocolate chip pancakes will be right up your street.